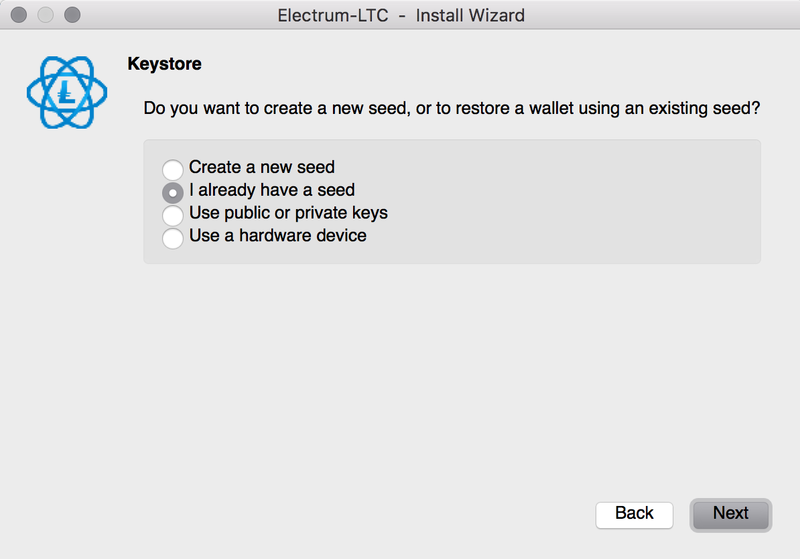 This article will show you how to setup, backup, restore, and sweep your Electrum LTC Wallet on a Mac OS. The process is similar for PC. 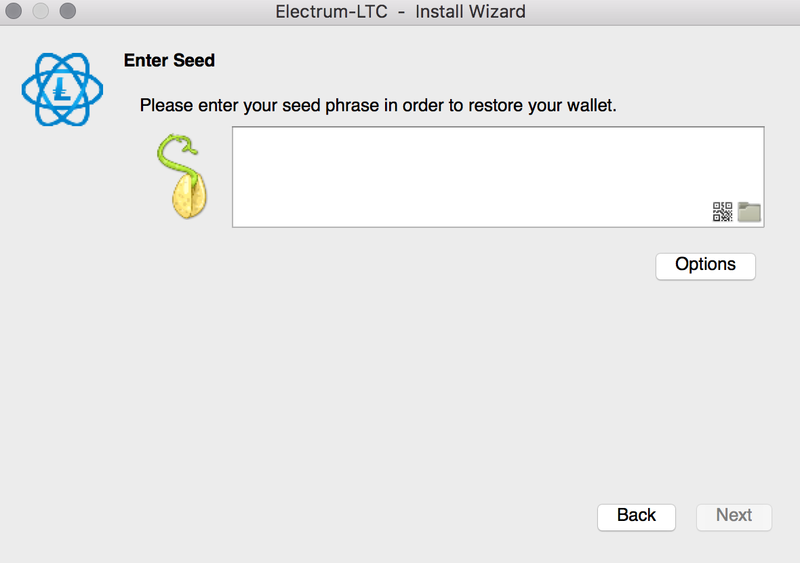 I will also show you how to turn Electrum into a cold wallet. This means that it will only be connected to the internet while it’s being used. First, you’ll need a USB or an external hard drive. Click here if you need to buy one from Amazon and then plug it into your computer. 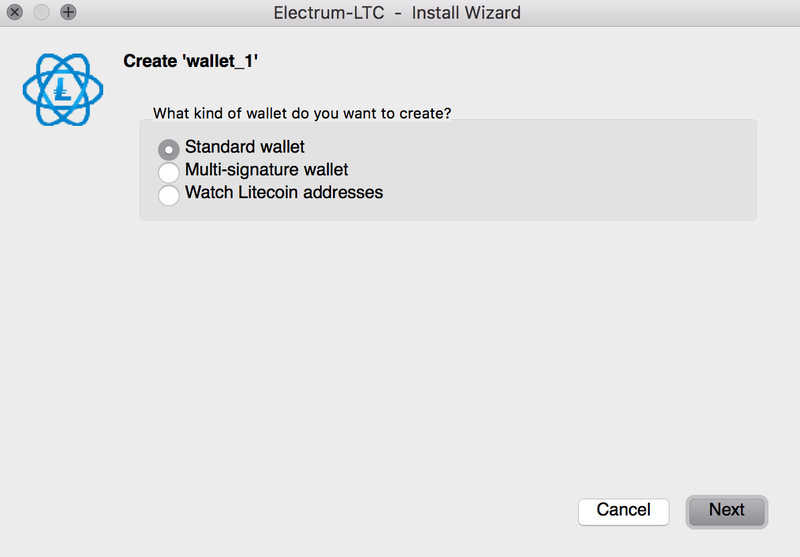 Then download the wallet from this website: https://electrum-ltc.org/ If you’re using Windows, then “Standalone Executable” works. 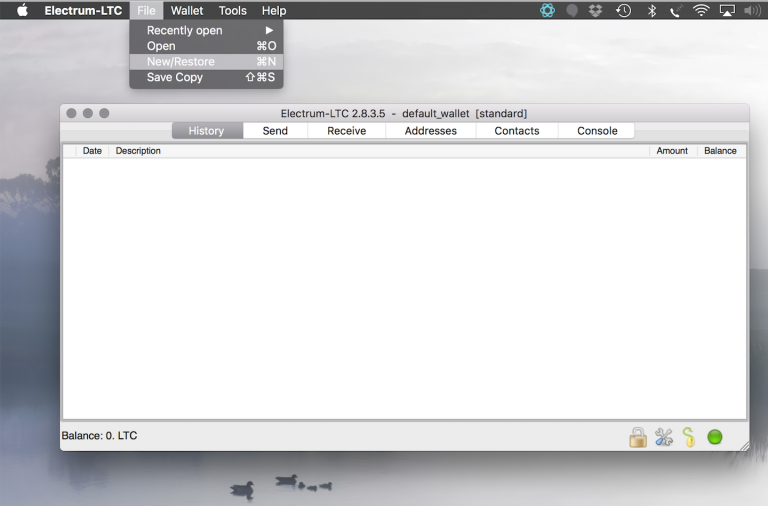 Double click to open the file and drag the Electrum icon into your USB or external hard drive. 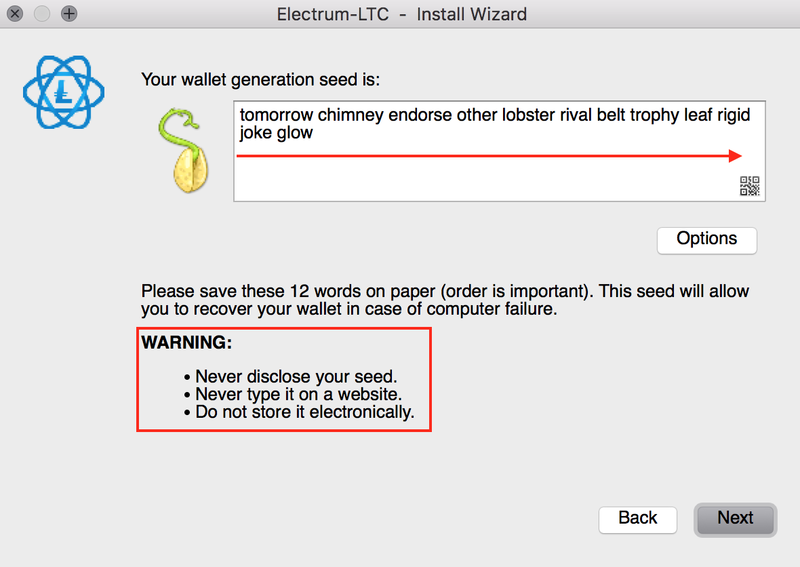 Once you’ve done that, double click your USB or external hard drive and then double click Electrum LTC Wallet to open it. You’ll then choose “autoconnect” on the next screen. Choose “standard wallet” then click “next.” The following screen will provide you “seed keys”. These are very important. Step 1 the left. Step 2 on the right. 3. Write down your seed keys from starting from left to right. 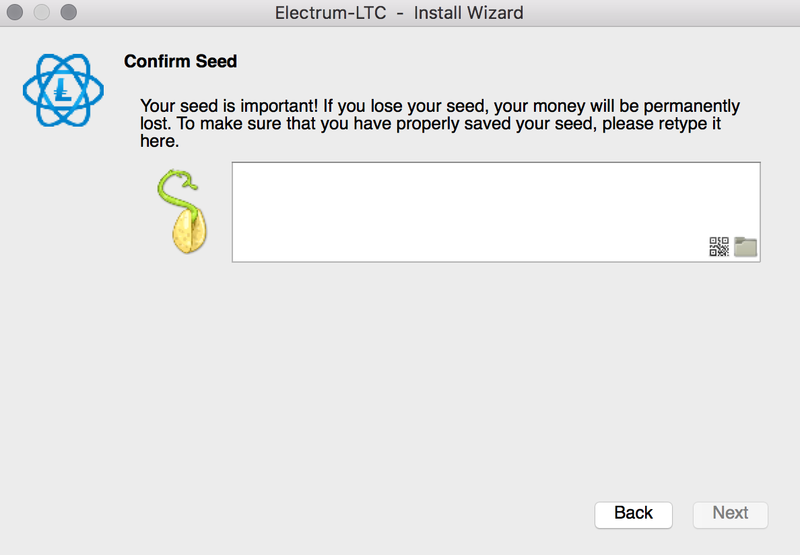 Your last two seed keys should be “joke” then “glow.” These seed keys will allow you to recover your LTC should you accidentally delete your wallet or your computer dies. As you remember from the article Understanding Wallets, wallets contain priv keys which create pub keys which create addresses. Seed Keys allow you to recover your priv keys to recreate your addresses. Make sure never to share these with anyone or else they can steal your LTC. *See warning label at the bottom. 4. Retype your seedkeys. Note: You won’t be able to copy and paste. 5. Encryption adds another layer of protection. You create a password which becomes the key to unlocking your wallet. You will only be able to access and send your LTC by providing the password. DON’T FORGET YOUR PASSWORD! If you do, then you’ll be locked out of your wallet for good. Encryption is so powerful that you won’t be able to “sweep” an address if you don’t have the password. When you’re done, click “Next.” You have now created a new wallet! Open Electrum and then click on “File” at the very top. You will then choose the “New/Restore” option. 5. Enter your seed keys in the same order you copied them down. 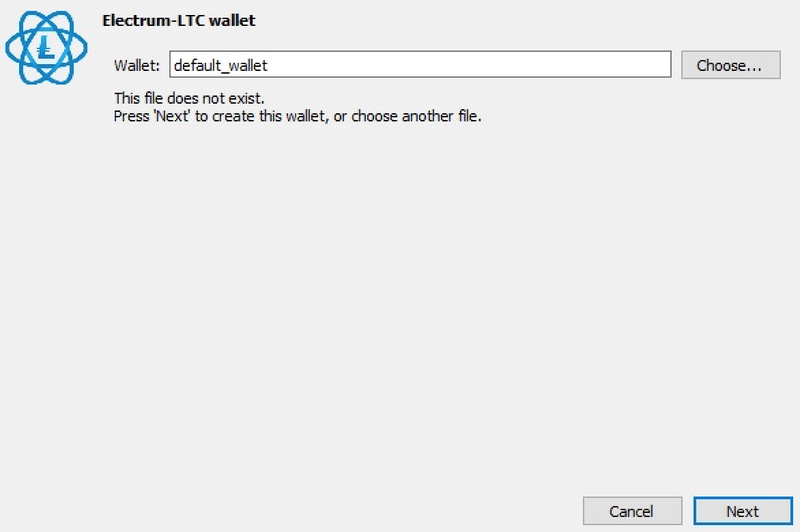 If you don’t, Electrum will not be able to successfully recreate your address and you won’t be able to access your LTC. Click “Next” and then you’re all done! Get your private key ready. Write down the private keys. 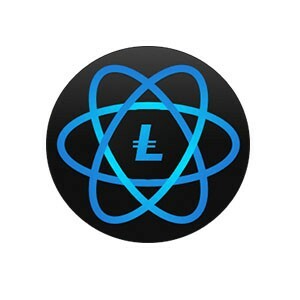 Write down the LTC address you want to send it to in the “address” section below. 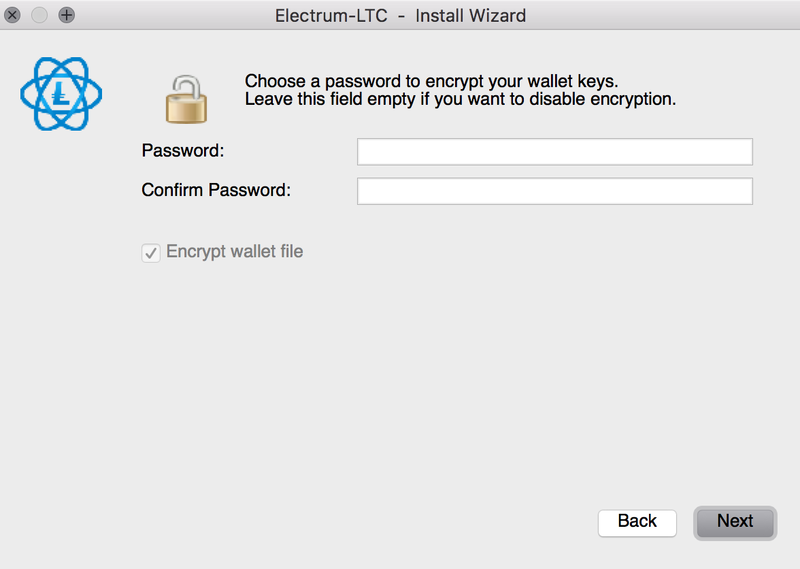 Click here to learn about the advantages Hardware Wallets over Electrum. Welcome! I migrated to a new website “www.theliteschool.com. " Come check it out for the most recent in L.S.C. news.